After charming the world with their PDA and cute proposal on television, the couple's news of separation comes as a rude shock to fans. 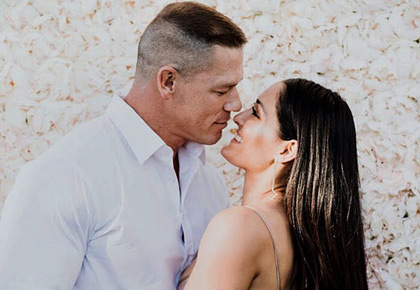 When professional wrestler and actor John Cena proposed to girlfriend Nikki Bella in the ring in 2017, their fans couldn't stop their tears of joy. "I've been waiting so long to ask you this," Cena said nervously holding out a ring from his pocket on Wrestlemania 33. "Stephanie Nicole Garcia-Colace (Bella's real name), will you marry me?" And Bella, of course, said Yes. The couple were planning to tie the knot in May this year and have a destination wedding. Alas, it will not happen any more. "So beyond grateful for this man. Hosted our first Thanksgiving at home," Bella had shared in November 2017. In a surprising twist to the tale, Nikki Bella took to Instagram on April 16 and announced their split. 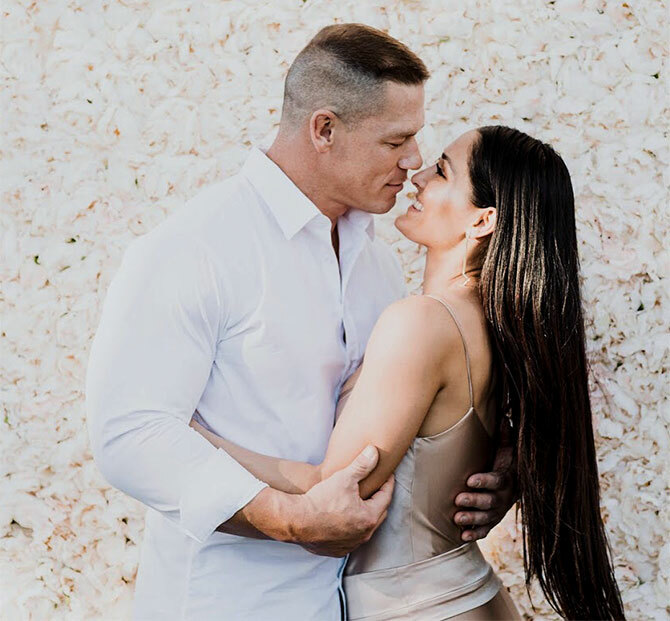 "After much contemplation and 6 years of being together Nikki Bella and John Cena announced today their decision to separate as a couple," Bella and twin sister Brie shared on Instagram and Twitter. "While this decision was a difficult one, we continue to have a great deal of love and respect for one another. We ask that you respect our privacy during this time in our lives," Bella wrote. John and Nikki during happier times. They brought in 2018 together. Cena and Bella have been tight-lipped about the cause of split. But according to a source close to the couple, Cena, who was previously married to Elizabeth Huberdeau, wasn't keen on marriage. "Anyone would be lucky to have her in their life -- yet John acted more and more like he was doing her a favour by somehow conceding to go ahead and marry her," the source told People magazine. "[Nikki] doesn't need a pity proposal, a pity wedding, a pity husband," the source added. "She's a phenomenal, tremendous woman." In fact, during an episode on Total Divas and Total Bellas, Cena had subtly dropped a hint that he wasn't keen on having kids. “I do want to be a mom,” Bella told Cena on the show in 2013 when they had just begun dating. "I feel like I’d be missing out," she said. Cena didn't seem too excited about Bella's idea of motherhood. "I’m going to choose my words carefully," Cena replied. "I can't give you that." Fans of the couple have been devastated by the news. "So sad John and Nikki split up. They were such a good couple. There wedding date was set for May 5, why would they call it off three weeks before it. Why did John propose anyways, he didn't even want kids or marriage. I wish that they hadn’t split up. Love you both," a user posted on Instagram. "I don't think this is the end, honestly," another wrote. Who is Anand Ahuja, the man Sonam will marry?